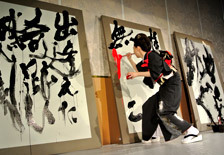 Calligraphy performance is a method for transmitting the energy of hope ; simultaneously it is a challenge to encounter oneself. 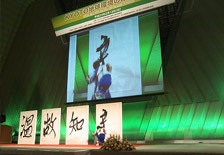 As a means of communicating with people, calligraphy performance is a releasing of the spirit and an expression of love. I think it is truely delightful that people’s souls are touched by conveying thoughts that words cannot express, thus becoming the occasion for restoring people’s confidence and individuality. And, at the same time, I can express myself. I think it is by confronting myself directly as a personal challenge that I can fully express my good and bad aspects, my delights and sufferings. When I perform, it is important for me to preserve the sense of who I am as an artist. The daily experiences of engaging with people all become a part of the process that adds to the fundamental repetitive practice of developing my skills as a calligrapher. The way of calligraphy is, of course, a representative Japanese method of expression, yet it is also a wonderful method of encountering one’s own spirit. 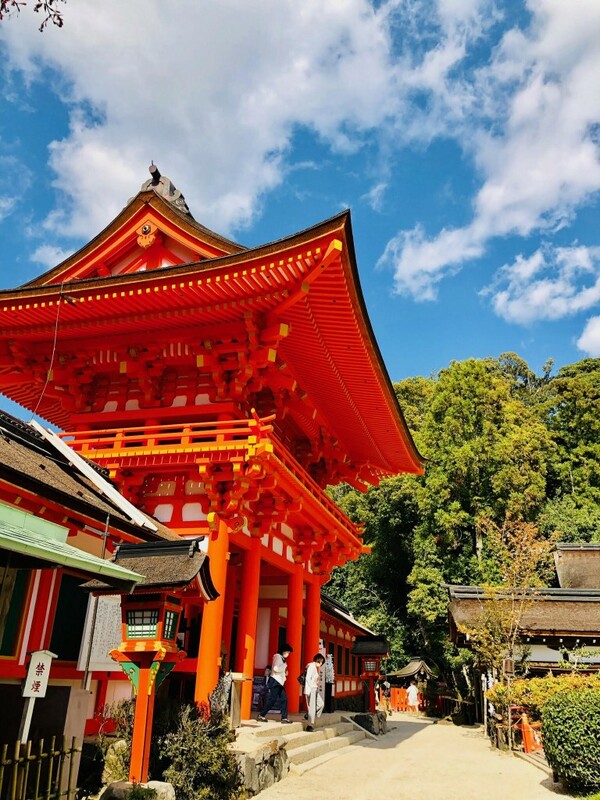 Thanks to what I have observed in my activities abroad, what I would like to convey is both Japan’s splendor and the wonder of my native home. I often think of the question « what exhausts people’s hearts in society ? ». The world is full of sincere people. To the degree that people are sincere, isn’t it true that they may be influenced easily and have their real intentions crushed ? Although I have to express myself with my own words, those who receive my thoughts may feel a sympathetic response. 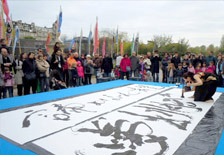 Through my way of transmiting the spirit of my calligraphy, I would like to tell people to reveal the wonder of life as it is, that their unique way of living is good. If this can be conveyed to the people who view my performance, their day-to-day activities can proceed. When I’m requested to do a calligraphy, it is not because the client is wanting simple entertainement. Although there can be a variety of requests, such as business memorial ceremonies, local celebrations, etc… what they have in common is their deep wish to express their intent. even though my skill is insufficient at placing the client’s thought first. It is because I invest my whole soul into it. In order to make every commissioned performance in a real and earnest manner, please discuss with me your « thoughts ». 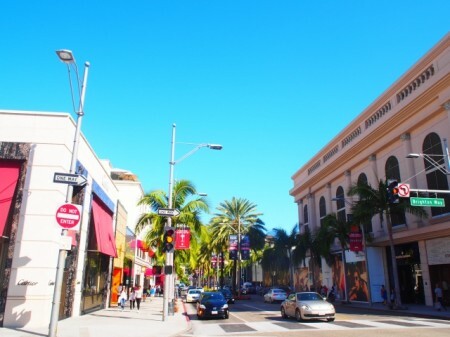 Various arts, various qualities… even if they differ in kind, are all good. They can produce harmonious sensations, and heightened feelings. In my collaborations with musicians I have had ongoing feelings of engagement with them. Even though calligraphy is often associated with Japanese instruments like the koto (13-stringed horizontal cither), I think it can be combined with other genre, such as rock music. I am hoping to try various stimulating collaborations with others. 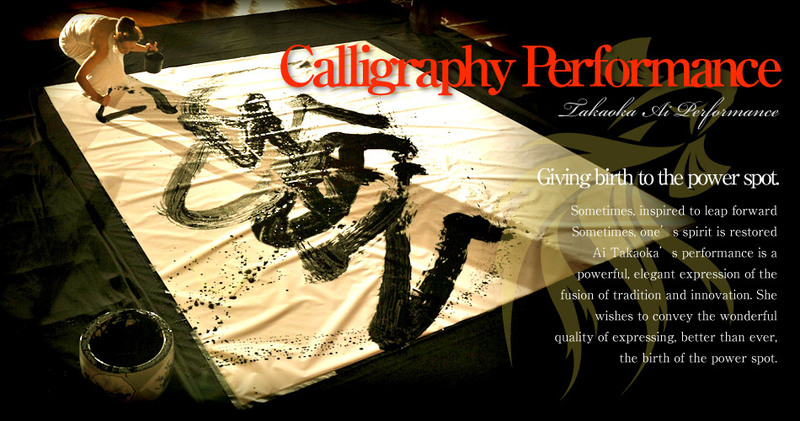 You can contact Calligrapher Ai Takaoka with any kind of performance ideas. You can also refer to the categories listed below. Artists and performers willing to do a collaboration are of course welcome.